Wishing that the Starbucks barista would flirt with you? Or are you a barista wishing you could catch the eye of a customer? 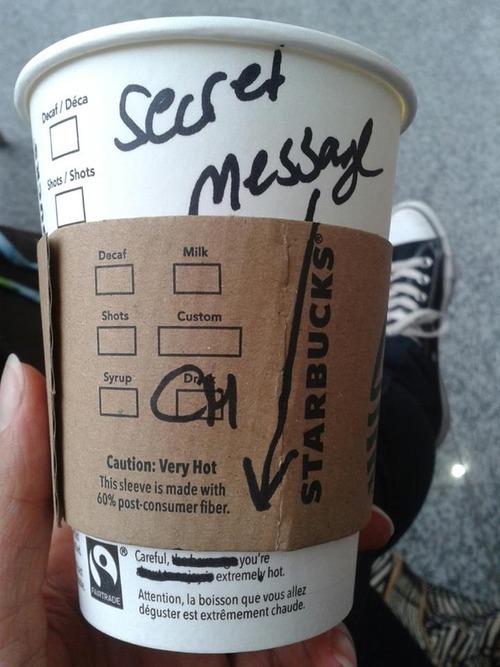 This Starbucks customer looked at their Starbucks cup to find the following flirty message. Ah Starbucks, the land of coffee drinks and love.